#1 Rated Android Repair Tool – Fixes Android System To Normal! Repair Android System Issues In Just Few Minutes With Ease! Repair and fix several Android system issues and errors. Fix issues like Black/White screen of death, system crash, system update failure, stuck in bootloop, apps keep crashing, etc. High success rate in the industry in fixing Android system. Fixes Android system to normal in just few steps. 100% safe, secure and simple to use. Note: At present the software support only Samsung Android phones and tablets. Is your Android phone or tablet got stuck? Is it got stuck in recovery mode? Is it continuously booting? Is apps keep getting crash on your Android? Or you have come across any abnormal behavior or symptom on your Android? Well, it means that there is a high possibility that your Android system has gone wrong or corrupt. 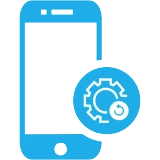 In such situation, it is highly recommended that you must try Android Repair software, the World’s first Android Repair Tool that is designed to fix Android system in just few mouse clicks. No technical knowledge is required, even a normal Android users can easily use the software. Phone Won’t Charge: There are several Android Phone users complaining about “My Android phone won’t charge”, even if it is plugged to power supply properly. This can occur due to System errors or issues. Android OS or System Got Crashed: It happens with many users that their device get crashes suddenly, hangs, freezes or completely does not turn ON. With this Android Repair tool, you can easily fix them all. Problem Analyzing The Package: This generally happens when you try to install Android (apk) apps on your device. Virus attack or mistakenly deletion might have corrupted or damaged the Android system and thereby such problem occurs. Android Phone Running Slow: Many users complain that their Android phones or tablets become slower and slower as the device gets old. This generally happens when you install heavy apps or files in your phone. But this Android Repair can help you to boost the performance of your device to 100%. Fix Android Apps That Won’t Open: When apps crashes, then “Android apps won’t open” on your device and this makes the Android users frustrating. But you can repair your Android system with this software and re-install apps and you will notice that the problem is solved. This Android Repair software support wide range of Samsung phones and tablets such as Samsung Galaxy S9/S9+/S8/S8+/S7/S7 Edge/S6/S6 Edge/S5/S4/S3, Samsung Galaxy Note 9/8/7/6, etc. No matter whether you have purchased the devices from Verizon, AT&T, T-Mobile, Sprint, Orange, Vodafone or other carriers. Using Android Repair Tool is very simple and easy. No technical knowledge required. One can easily repair Android with few mouse clicks. Connect your Android device to PC with the help of USB cable. Next, select the device details such as brand, models, carrier and country. Boot your device to download mode and start to repair in one click. Why Choose Android Repair Software? 100% Secure: Android Repair software protects your privacy and personal/financial information with advanced encryption and fraud protection. Customer Support: Customer support available to help you via email response within 24 hours. Keycode & Free Upgrades: Keycode are sent automatically within minutes as well as upgrades are free. Money-back Guarantee: Android Repair software comes with a 7-days money back guarantee.